WINNER – Best Heritage Project and Best Public Building. Picture from the LAMA awards in Dublin. Double award for Best Heritage Project and Best Public Building for the Medieval Museum in Waterford. The Community and Council Awards presented by LAMA highlight and recognise Community and Councils working together, bringing national recognition to projects and developments in their jurisdiction. 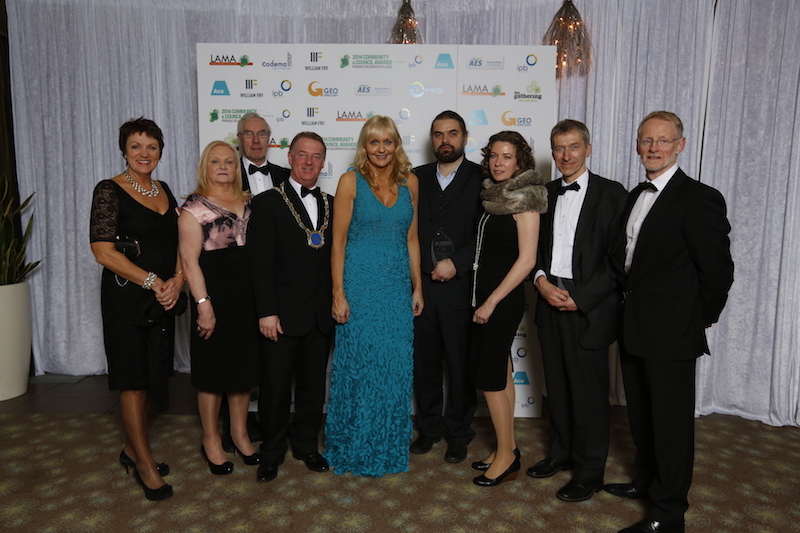 PHOTO: Agnieszka Rojowska, 3rd from right, and Bartosz Rojowski, fourth from right, with host Miriam O’ Callaghan and fellow design team members and guests at the LAMA awards night in Dublin.